More fantastic Responsive Refreshes by BrandCo! Another Week Full of Fantastic Responsive Refreshes! Another week is down here at BrandCo and another amazing batch of Responsive Refreshes have been cooked up and delivered by our team! 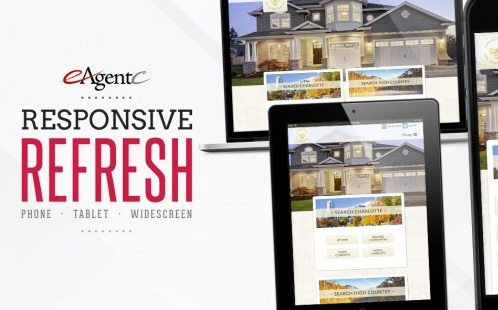 These awesome designs take the Keller Williams eAgentC to the next level with mobile responsiveness and full-width layouts. 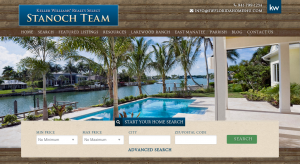 This beachy design by Bianca is a perfect fit for Mark Stanoch and his team. The Stanoch Team is making great use of their Piggyback Blog, as you can see, by the many communities highlighted from the site’s navigation, an excellent example of how to earn SEO with the Wolfnet WordPress Plugin. Bianca’s design for Sarah works very well within feminine colors. The softness lends its way into homeyness which most people would seek out in their future real estate professional. 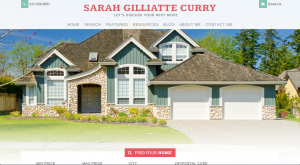 I’m especially fond of the pattern used in the area including Sarah’s information and photo. Angel came to us for a design that would have a traditional feel and Denika was happy to deliver for her. 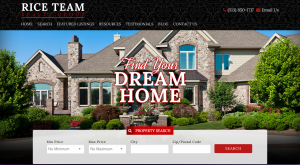 This team has plans of adding in a VIP Buyer Access program on their site, which will be a big win for their client and visitors to their website. Time to mix it up! 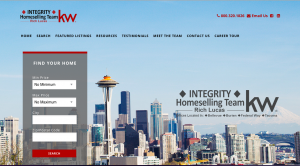 This refresh features a vertical quick search that allows the Seattle skyline to shine! Our developer Gesenia was happy to delivery this city focused design for our clients at Integrity. When visiting the website, be sure to give their well-put-together interior pages a look…very nice work. 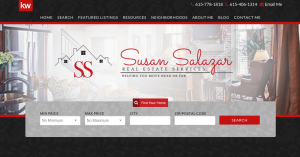 Piero designed a beautifully simplistic website utilizing those bold Keller Williams colors for Susan. There are some very key neighborhoods that are being called out upon the menu. She has also began making great use of her Piggyback Blog! Can’t wait to see what she has to share! With Louis and Linda coming from Miami, it was obvious for their design from Piero to display a beach-centric look. 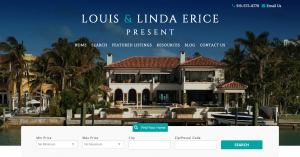 Smartly, they are using their Piggyback Blog to show off their featured properties by address. Such a great idea! Their long time use of the blog is very impressive. 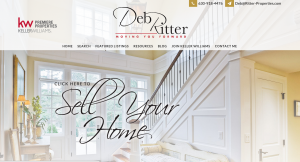 Deb’s website has a beautiful and conservative look to it now thanks to Tony and his design prowess. The large photos used for multiple calls to action translate very well into mobile versions for those viewing the site on iPads and cell phones. 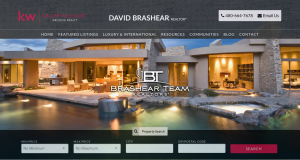 Designer, Denika, had a great time creating this responsive refresh for Arizona based, Brashear Team. This city focused design utilizes some really fantastic textures and colors to show up what Scottsdale really has to offer. 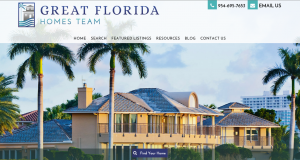 Tara Carter’s new website, designed by Angela encompasses everything that’s amazing about living near a great Florida beach. Coming from Coral Springs, you expect to see fun, water, sand, and incredible homes. This website gives you all that and more! With another week down of great websites being delivered to our clients by our amazing team of designers and developers, we can all agree that these responsive refreshes are a cut above the rest. More cutting edge designs coming soon!